Pain Description: Tingling in the fingers, arm and/or pain in the wrists. Symptoms can also include pain generating down from the shoulder. Multi-causal. Aim: To take pressure and tension build up in the hands, wrists, arms and shoulders by keeping these in a relaxed, supported, neutral position. 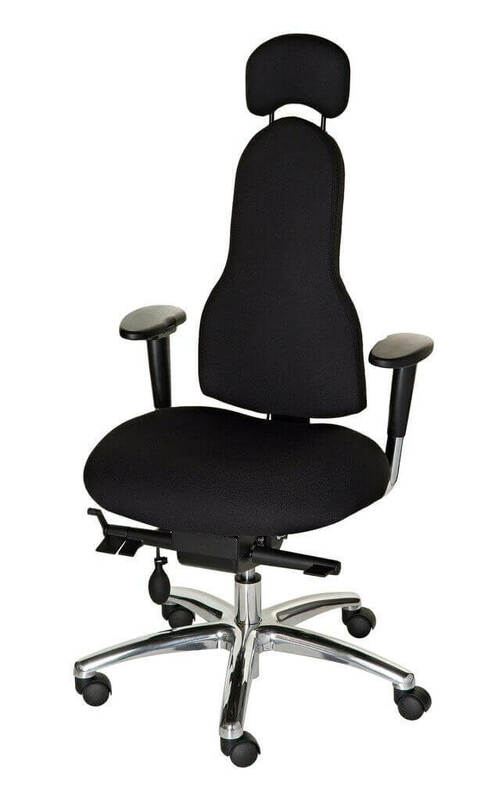 Recommended Chair Model: All of our chair models have 4D adjustable armrests to keep your arms, hands, wrists and shoulders in a relaxed neutral posture to reduce tension build up. 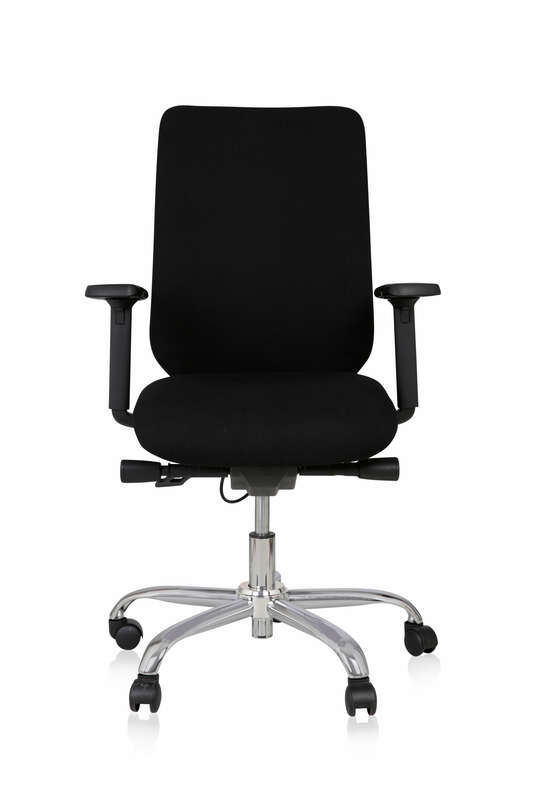 Benefit: ALL models include specifically positioned armrests that allow the arms to be supported, relaxed by your side, whilst still allowing access to the desk. Most armrests are too far forward, meaning that you have to lower the arms under the desk in order to reach the keyboard. To reduce the symptoms of RSI or CTS you need to have your arms gently supported in line with the desk so your wrists and hands are relaxed when typing and the weight of your arms are removed from your shoulders, preventing tension build up. 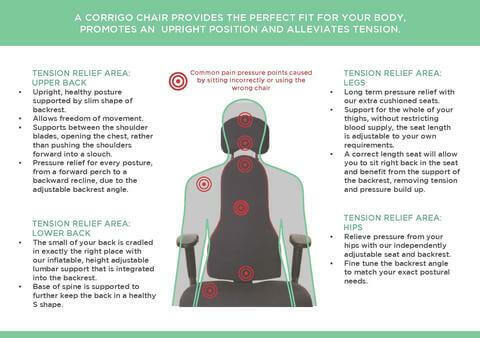 No more leaning on the desk for support, which encourages slouching and causes pressure on your spine. 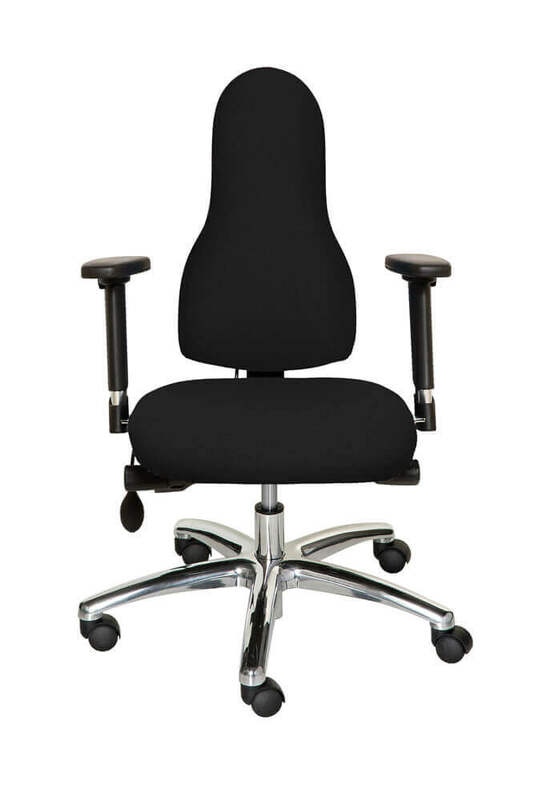 All models include height and depth adjustable armrests as standard. The Libero includes an extra width adjustability feature, further ensuring the arms are exactly the right width for you.